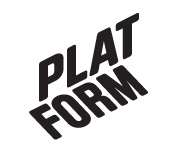 October 2014 – Platform r.f. Almost a year ago, Platform’s artist in residence Daniel Ladnar launched the project “Upcoming”, engaging with the land rise in the Kvarken archipelago and with the constant changes that the planet is going through. It asks people to consider their relation to the future: What would the people of Vaasa like to preserve for the future? Are there any messages they would like to leave for future generations? What are their hopes, their fears, their secrets, their ambitions? A letter box was installed for people to leave messages for the future. Now, these letters will be put into time capsules which will be sunk in the Kvarken archipelago. And because every year the land rises by almost 1cm there, they might re-appear sometime in the future. Or they might never be found. Hundreds of letters have been sent. On Sunday, October 26th 2014, there is a final chance to submit a letter (A6 envelope). Unopened, all letters will then be sealed in time capsules and sent on their journey into the future. You are welcome to join us in bidding them farewell! Terranova Kvarken Nature Centre, Museokatu 3, 2 pm.